Open Company company "CUSTOMS ADVISER"NECESSARILY WHO THAT IN WHAT THAT IS STRONGER, SO IT IS BETTER TO EARN LESS, THAN TO REFUSE THE CLIENT. THAT THAT WE TO YOU, WHERE THAT YOU TO US., FOR EXAMPLE WE TAKE MULTICODE COLLECTIONS... OR 5-6 DIRECT CONTRACTS IN ONE CAR FOR DIFFERENT FIRMS. FOR TRANSPORT WORKERS AND FORWARDING AGENTS COMMISSION FEE FOR GRANTINGS OF THE CLIENT TO REGISTRATION ARE PROVIDED.OFFICE PRESENCE ON TERMINALS AND CONTACT TO CUSTOMS WITHOUT INTERMEDIARIES WE RECEIVE THE PRICES THE SAME DAY. REGISTRATION OF DIRECT CONTRACTS AND MODULAR CARGOES UNDER DIRECT CONTRACTS IT IS MORE LOW BRAVE!! !EXPORT AND OTHER MODES. AND AS ФАРМОКОЛОГИЯ.We work with leading customs terminals of Moscow and Moscow Region. You can send us on the miscalculation one of your old loadings, and be convinced where more cheaply. The miscalculation both with transport and without transport, and also from a door to a door is possible. Full legal protection of your cargo in ways, the shortest terms of registration of the necessary documentation. We will professionally develop optimum transport schemes, we will ship your cargo with use of modern loading base with spets-technics. We offer a full complex of services in CUSTOMS REGISTRATION of cargoes. 1. GRANTING OF THE LEGAL PERSON, INCLUDING UNDER DIRECT CONTRACTS.2. Preparation of commodity-accompanying documents3. 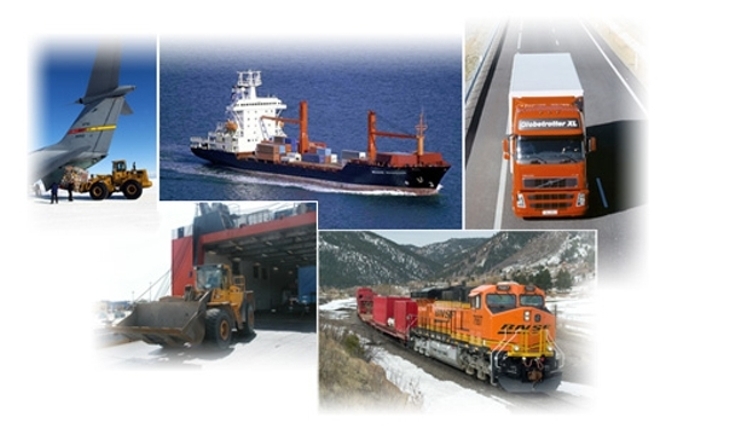 Transport servicesWe transport any cargoes, isn't dependent on their size, weight and other advantages, we solve any challenges arising by transportation.4. Reception of the sanitary-and-epidemiologic conclusions5. Reception of certificates conformity.6. We can make certificates of conformity of the goods, certificates on party and certificates on the manufacturer, import карантийные permissions, отказные letters and fire certificates. Payment of all services after goods release in the free reference.7. At will of the client we can do the declaration under the PRESS of the ALL-RUSSIAN BROKER.And also:Minimization of customs paymentsCustoms: Work without intermediaries on posts:Offices on posts: (Ivanteevka) "Open Company TK TRANSSERVICE" the MAMONTOVSKY POST, And СВХ "DHL" 32 KM ON the YAROSLAVL HIGHWAY.IN THE SAME PLACE the CENTRAL OFFICE and the DMITROVSKY POST "РОСТЕК" And СВХ "SOURCE", the KRASNOZAVODSKY POST. 1. ОФОРМЛЕНИЕ ПРЯМЫХ КОНТРАКТОВ И СБОРНЫХ ГРУЗОВ ПО ПРЯМЫМ КОНТРАКТАМ, А ТАКЖЕ ПО ПРОХОДНЫМ ЦЕНАМ. 2. ЭКСПОРТ И ДРУГИЕ РЕЖИМЫ ЛЮБЫХ ВИДОВ ГРУЗА. 3. ГОТОВИМ ПОЛНЫЙ ПАКЕТ В ТПП КИТАЯ С ЗАВЕРЕННЫМИ ЦЕНАМИ ДЛЯ ПОДТВЕРЖДЕНИЯ ТАМОЖЕННОЙ СТОИМОСТИ ПО ПЕРВОМУ МЕТОДУ. 4. МНОГОКОДОВЫЕ СБОРНИКИ И ПРЕДОСТАВЛЕНИЕ ПОД НИХ ЮРИДИЧЕСКОГО ЛИЦА. 5.НЕФТЕПЕРЕГОННОЕ ОБОРУДОВАНИЕ И ИРАСХОДНИКИ, А ТАК ЖЕ ОБОРУДОВАНИЕ ПО РАЗЛИВУ. Вы можете прислать нам на просчет одну из ваших старых загрузок, и убедиться, где дешевле.Возможен просчет, как с транспортом, так и без транспорта, а также от двери до двери. Мы профессионально разработаем оптимальные транспортные схемы, погрузим Ваш груз с использованием современной погрузочной базы со спецтехникой. Перевозим любые грузы вне зависимости от их размера, веса и других достоинств, решаем любые сложные задачи, возникающие при перевозке. Минимизация таможенных платежей. Оплата всех услуг производится после выпуска товара в свободное обращение. Полная юридическая защита Вашего груза в пути, кратчайшие сроки оформления всей необходимой документации. 6.По желанию клиента можем делать декларацию под ПЕЧАТЬЮ ОБЩЕРОССИЙСКОГО БРОКЕРА.